WILLEMSTAD - The U.S. real estate agency Ackman-Ziff was appointed as a broker to sell the properties where the Marriott Hotel in Curacao is located. These properties are managed by Reef Resort Hotel. The Marriott hotel has made a property improvement plan indicating what the new owners will have to invest to bring the property somewhat back to a normal standard. This is an investment of approximately 15 million dollars. Recently, the Minister of Finance, Dr. Jose Jardim appointed a committee to start with the process of selling the premises where the Marriott Hotel is located. According to our sources, Ackman-Ziff will list the property in the Wall Street Journal. They will also inform all their contacts about the property. According to the Ackman-Ziff website, they are the industry’s pre-eminent boutique real estate capital advisory firm specializing in debt financing, mezzanine financing, preferred equity, joint venture equity and investment sales. According to the firm, they are highly regarded within the industry for their integrity, creativity, and advocacy on behalf of their clients. The hotel was built in 1993 and is currently in dire need of renovation. This is according to one of the members of the committee. This member admits that the operation of the hotel does not bring enough funds to renovate the buildings. The rate per room Marriott charges has also been a topic of discussion in the hotel sector, because the Marriott, with a strong international reputation, has a relatively low rate per room. The member suggests that they do not only check the rate of the hotel, but also the occupancy. 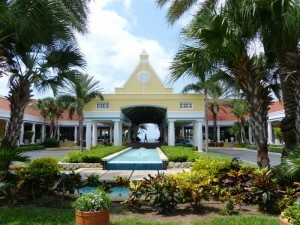 The Marriott and the Lions Dive Hotel have been the most successful hotels in Curacao in the last two years. He admits that all the hotels in Curacao are going through a low occupancy even with their prices down. But on the other hand he recognizes that in recent years they had no money to pay for a complete renovation of the rooms, the interest and the amortization to the government as a creditor.